There were the customary "Hello & how are you" and "Lovely day" exchanges. All very civilised it was. However, we then met a man who asked my boys "Have you seen any Rats yet"
We mainly saw them around the high path, near the Dulwich Wood Crescent gate. Any other "wildlife" sightings up there ? 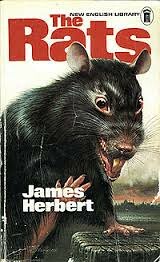 I saw the rats the other day - competely freaked me out. I'm not going back in unless I'm wearing wellies as I have a weird fear of them climbing up my trousers! Probably the endangered brown/black water vole trying to make a comeback. They should be fed and encouraged. Is that still going on? If so i'll email Sainsburys, they seemed quite helpful last year or whenever it was that there were lots of sightings. I have no idea why I seem to find it sort of acceptable for rats to be in Peckham Rye and Dulwich Park but not the Sainsburys mini park thing! Maybe because there is water in Peckham Rye and Dulwich Parks it seems more acceptable and natural. I have seen a few swimming in the streams. Seen a rat once around here - last summer - never seen one again. I figured the foxes were doing a good job. I seem to recall one of the old posters had an anecdote about seeing a ninja in those woods once! El Pibe, are you channelling TMNT? The old rat ninja teacher? I love Sydenham Woods, happy to share them with a rat or two (thousand). Not sure about rats but I have seen a fair few mooses in Sydenham. Mainly on a Friday night round about chucking out time. Nice to see all the old familiar names posting on that link. I can never keep track of who renamed themselves and carried on and who disappeared for good. Is Keef still posting? Edited 1 time(s). Last edit was 2013:12:11:11:47:25 by edcam. > good. Is Keef still posting? He's not I'm afraid. He didn't know about it, but your username expires when you get to 10,000 posts and he is no more I'm afraid. Never liked him anyway. I haven't seen the rats in Sainsburys park for a while now, it did get to the point last year I'd see them running through the bushes while walking up the footpath every time I'd visit. @mMicMac - thanks, as you can see though I am a longtime resident of edf, I am some way off the 10,000 posts. I hope you make good use of your remaining 1,004 posts before you too disappear into the firmament. My OH swore he saw a dormouse on a collapsed wisteria in someone's front garden up round that way. Having seen and held one myself, his description did fit and he knows what a rat looks like so although I was initially disbelieving, I concluded that chances were it was a dormouse.